A place for members and prospective members to show and discuss their costume builds. Some of you have never met me, or perhaps might of bumped into me at some point. You'd recognize me as an over-enthusiastic guy with a smooth haircut (and a man with a very unusual personality, I take pride in my Conan O'brien/Italian fusion style cut)! I've felt this astigmatism for a while now that I won't get any useful help just because I'm not a full fledged member of the 501st here. After C2E2 2016, that concern has been erased. Many of you might be RL members for all I know . Enough of the banter, let's get to the meat. I'm doing a Rebel Legion based build at this time, but the local Rebel Legion charter here in Wisconsin is both very quiet and has a lack of members (in general and with special skills) to assist in my WIP. As far as I could tell anyways. The local cosplay scene's presense is still a mystery to me. I don't see them around. I'm beginning to think their isn't a cosplay presense around here at all. After introducing myself to the 501st at C2E2, I got more help on my project in the first 2 hours than I did for the past 2 1/2 years. Some of you are on these forums. Where I should put my questions for my WIP, I do not know, but I would very much like assistance with my build when the need arises. 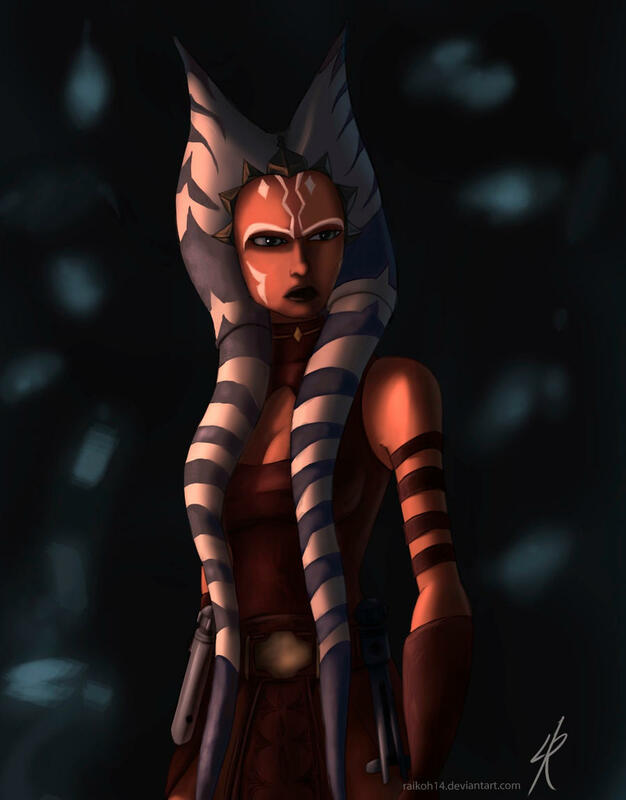 Build Project: (Adult) Ahsoka Tano in Season 3-5 outfit. 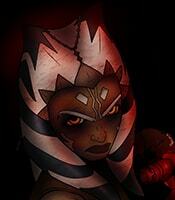 Description of the Character: Will be done in the 'Clone Wars' fashion. 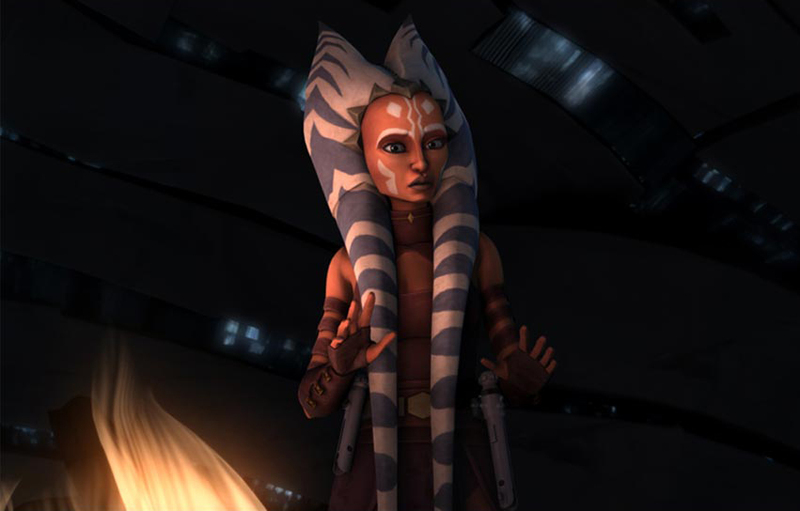 In fact, It'll be the 'Altar of Mortis' edition of Ahsoka when she's an adult. Her outfit remains the same. Rebel Legion judges have yet to have a standard for this edition of the character I believe, it's quite vague for Ahsoka's standards. My primary issue is the headpiece. A prop like this has never been attempted in a very efficient way. The course of action is to make a very highly detailed master with (what I can only think of) either oil clay, sculpting foam, or carved expanding foam. The molding of the master still remains a mystery, the fabrication of the master is proving to be difficult to do with a man of my skill set, it's merely an obstecle right now, one that only time and persistence can overwrite. The other issues involving my armor will be posted when they are worked on, or are being planned on. -How to mold items very well. -How to sculpt items well, I can do the Sculpting but techniques in manipulating clay could help me out in spades with my own technique(s). -Body Ink application for the whole body. Experience with duel action airbrushes and ink is desired, but trial and error from people who are willing BUT don't know what their doing are cool too. A person with an eye for detail is very much desired, who isn't me! Haha. -Armature for Sculpting very large props. -Oil clay manipulating tricks. Might need to be answered in person. That's about it for now. I really want to meet some of you guys in person at like an armor party or something of a kind. I understand it's a word-to-mouth deal. Perhaps you guys could add me on your facebook! Like everyone else, I have a life so I may or may not go depending on the circumstances. I look forward to hearing from you guys.